*This air pillow is an ideal accent to be carried on any travel or trip. It provides leisure even as traveling and is compact. *Subject matter: Rubberized Cotton, Colour: Other, Dimension: 20 inch x 13 inch, Comfortable flocked surface and can be use as a pillow or a cushioned seat. *Package deal Content material: 1 Air Pillow. **কোথাও ঘুরতে গেলে অথবা বাড়িতে বেশি মেহমান এলে ব্যবহার করুন. **পকেটে অথবা ব্যাগের কোনায় রেখে দিন. **সাইজ: 13.8”x 7.9” অথবা, 35x20 cm. ​Inflatable Travel Pillow is covered in an ultra-soft fleece fabric and is easy to pack in small places. 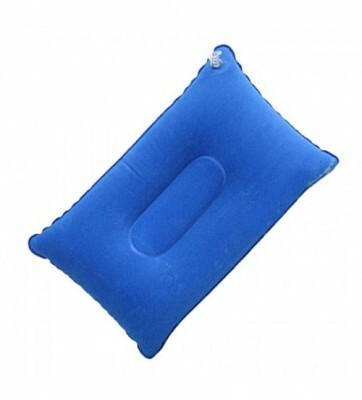 This pillow inflates and deflates quickly and easily. Ergonomic U-Shaped Travel Head Pillows Are Designed By Doctors And Recommended By Doctors. These Travel Head Pillows Are Great For Traveling, Working On Computers, & Watching TV.